This letter was received a few months ago by someone who forwarded it to CA PW among others, and apparently nothing has been done yet. I a writing you on behalf of the women in Central California Women’s Facility in Chowchilla. I want to make everone aware of the transfers being forced on many to McFarland California. 1. The Plumbing Is backing up and clogged. 2. There are no programing or programs of any kind nor will there be according to the staff when asked about them. 3. The Living Quarters are filthy and infested. They are putting all levels of inmates into a dorm setting together. All Custody Levels. 4. CCCMS Inmates were transfered without Meds.or Mental Health Care. Another problem taking place here at CCWF is we are already really overcrowded in our cells with 8 or more women: The Populaton is soaring here, they are taking the overflow from receiving over 700 women and are placing them in with us. They are all going into general population as if no evaluations have taken place. Medical has taken ALL our Meds away from us, stating to us that they are too costly and we will not be getting them any more. I do not know whom to write to get us help? I do not know if the woman I am sending this to will be giving her name? That will be her decision, but we are going through her hoping she can get us heard. PLEASE RESPOND to us. We have been asking for help for a very long time. Signed: (name withheld for now by CAPrisonWatch for anonymity reasons, out of fear for repercussions). See also the March that the California Coalition for Women Prisoners did in August. Please Sign these letters for healthcare for people in prison in California! Being in physical distress locked in a cell turns into a truly terrifying experience when you can hear the cops banter with each other about you being a “crybaby”…and they’ll get to it when they have finished cutting it up with each other. It’s especially terrifying when you are experiencing symptoms you don’t understand & you have witnessed others calling for help only to learn that person didn’t survive. On July 30, 2014 a woman committed suicide in the Solitary Housing Unit (SHU) of the California Institution for Women (CIW), in Corona. According to information gathered by the California Coalition for Women Prisoners (CCWP), there have been seven preventable deaths at CIW so far in 2014 and three attempted suicides since July alone. None of these deaths have been made public by CIW or CDCR although they signify a state of crisis in the prison. Prison officials have failed to inform bereaved family members of these deaths in a timely and respectful manner. Margie Kobashigawa, the mother of 30-year-old Alicia Thompson, who died of an alleged suicide on February 24, 2014 in the SHU, was ignored by prison staff. “Nobody from the prison would call me back, nobody would talk to me. I was planning to pick up my daughter’s body and suddenly CIW was trying to cremate her again, and quickly. To me it’s like they’re trying to hide everything,” said Margie. As she prepared her daughter for burial, she found no signs of hanging trauma to her body and has reason to believe her daughter died from some other type of violent force. On March 13, 2014 Shadae Schmidt, a 32-year-old African American woman, died in the CIW SHU. Shadae had a stroke in February 2014 and was prematurely returned to the SHU. She was given medication that made her sick but her requests for a change in prescription fell on deaf ears; and then she died. CCWP received information regarding these two deaths from friends and family members, but other deaths, suicides and attempted suicides remain shrouded in mystery. The majority of people in the SHU have some type of mental health problem, which is exacerbated by solitary confinement. CCWP continues to hear reports that there is no medical staff to monitor people’s vital signs and mental states when physical and mental health crises occur. People scream for help and get no response at all. 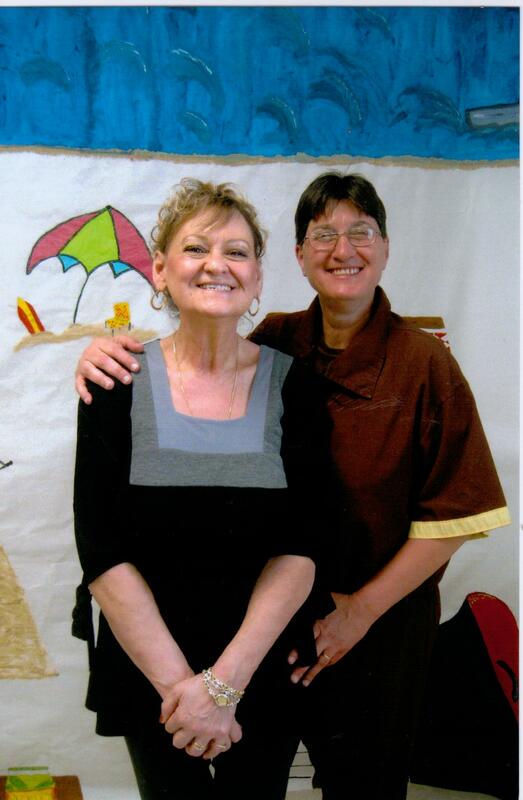 Since the closure of Valley State Women’s Prison in January 2013, overcrowding at CIW has skyrocketed. Medical care has significantly deteriorated and there has been a dramatic increase in the population of the SHU and other disciplinary segregation units. Overcrowding has aggravated mental health issues causing an increase in the number of mentally disabled people in the SHU even though this is the worst place to put them. In August 2014, in response to a court order, the CDCR released revised policies to reduce the number of people with mental health diagnoses in isolation. Policy changes are only useful if they are implemented. It is crucial for the CDCR to transfer all people with mental health issues out of the CIW SHU as soon as possible in accordance with the court order. Immediate transfer of all prisoners with mental health issues from the SHU and implementation of care programs. Increased healthcare staffing and care for people in the SHU. An independent investigation into the circumstances surrounding all deaths at CIW in 2014. Reduction of overcrowding through the implementation of existing release programs rather than transfers to other equally problematic prisons and jails. 1515 S. Street, Room 124 S.
Please sign here to sign CURB’s letter for decent healthcare at CSP-Corcoran! We the undersigned incarcerated at Central California Women’s Facility (CCWF) and the California Institution for Women (CIW) are outraged that CDCR has signed a contract with the GEO Group, the 2nd largest private, for-profit prison corporation in the U.S. According to the contract, GEO will open a new women’s prison in McFarland, CA by fall of 2014. We call upon California State Legislators to direct CDCR to cancel the contract with GEO and implement existing release programs instead of opening a new prison! Once again we are shuffled around without regard for our well-being or our human rights. Since VSPW was converted to a men’s prison in January 2013, we have been subjected to overcrowding at historically high levels (CCWF is now at 185% capacity), even while the state is under court order to reduce the prison population. This is discrimination against people in women’s’ prisons! As a result of this overcrowding, health care, mail services, food and education have greatly deteriorated. We are locked down more frequently, leading to heightened tensions, drug overdoses and suicides. The prison staff has responded by locking more people into solitary, further violating our human rights. CDCR could easily implement existing programs to reduce overcrowding, such as: Alternative Custody Programs (ACP); Elder and Medical Parole; and Compassionate Release. Instead, on April 1, 2014 GEO announced its new contract with CDCR to open a 260 bed women’s prison with an “enhanced rehabilitation and recidivism reduction program.” This is nothing but a bad April Fool’s joke! The 260 women who are “chosen” to go to McFarland could be released through one of these other programs instead. None of us should be hauled off to showcase a so-called “gender responsive” prison and to put money in the pockets of GEO investors. GEO is a private corporation whose business makes profit from imprisoning primarily people of color and immigrants. GEO’s press release about the new prison reports expected revenue of $9 million in McFarland’s first year. Think of how much $9 million could do for providing community-based re-entry services! GEO has been the subject of numerous lawsuits around the country about atrocious, unconstitutional conditions. Private prisons are notorious for operating with even greater secrecy than the CDCR: assaults are 49% more frequent; racist behavior and sexual abuse by staff are widespread. In March 2014, 1200 people detained in GEO’s Northwest Detention Center in Tacoma, WA (for immigrants) went on hunger strike to protest the grossly inadequate medical care, exorbitant commissary prices and low or NO pay for work within the center. Other GEO prisoners have since gone on hunger strike at detention facilities in Conroe, Texas and Stewart, Georgia. In January of 2014, Governor Jerry Brown’s reelection campaign reported $54,400 in donations from GEO Group. GEO Group has spent $7.6 million on lobbying and campaign contributions in the U.S. in the last decade. GEO lobbied strongly to advance laws that increased the time served for drug convictions and other non-violent crimes through mandatory minimum sentencing, three-strikes laws, and truth-in-sentencing laws. GEO was a member of the American Legislative Exchange Commission (ALEC) when the model bill that became AB 1070 (profiling immigrants in Arizona) was drafted. These legal changes resulted in significant profits for GEO. In McFarland, CA, GEO has signed a contract incentivizing prolonged incarceration over release by charging the California Department of Corrections and Rehabilitation less per prisoner if the facility is more than half full. GEO operates reentry facilities around the state, including the Taylor Street Center at in San Francisco and the Oakland Center in Oakland. Residents experience these facilities as “re-entry prisons” that are structured to threaten and punish people rather than providing support for people to reenter community life. . It is shameful that CDCR is about to open a for-profit “boutique prison” that does nothing positive to solve the disproportionate overcrowding in the women’s prisons at this time. Assembly Members and Senators, please intervene! Stop the GEO prison from opening. Instead use this $9 million to fully implement existing release programs immediately and fund community-based (not for-profit) reentry programs.